The University of Pittsburgh Medical Center Altoona Regional Health System has found a way to balance physician autonomy with the security and benefits of hospital employment. 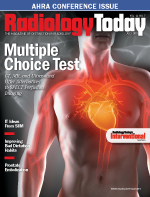 Read about critical test results management systems, which help ensure major radiology findings flow quickly from the radiologist to the physician. Learn about the latest research findings presented at ASTRO’s annual meeting this fall. While this noninvasive procedure primarily is used to treat uterine fibroids, experts agree that it may be used for other complications, such as metastatic bone tumors. The director of imaging services at White Memorial Medical Center in California discusses his facility’s dose reduction program. Experts weigh in on data management tools and the challenges and opportunities they present. Learn about the ongoing debate regarding the use of coronary CT angiography in low- to moderate-risk patients presenting with chest pain in the emergency department. After three studies concluded no significant benefit with intra-arterial ischemic stroke revascularization, the Society of Interventional Radiology released a position paper responding to the studies’ findings. 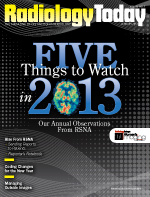 Our annual guide to the RSNA exhibit hall. 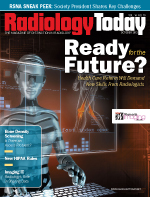 Radiologists will need to rethink and adapt their roles as the US health care system changes in the coming years. Read about the new HIPAA rules to determine whether your organization is compliant. Learn how hospitals and providers may better recoup funds with electronic submissions during the appeals process. RSNA President Sarah S. Donaldson, MD, provided Radiology Today with four issues facing radiology. With reduced reimbursement and access to DXA scans, bone density testing is moving from private practitioners to radiology centers. Learn how Toshiba’s 640-slice CT scanner is finding its role in US hospitals. 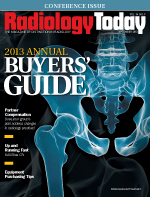 Three medical business consultants provide insight on radiology groups’ partner-level income division. Still mostly a research tool, doctors are learning how to use this hybrid imaging tool. Industry pros offer tips on how and when to purchase preowned imaging equipment and upgrades. 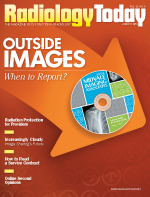 With many facilities loading outside images into their PACS, imaging and IT pros discuss when to report on them and how to determine the liability risk. 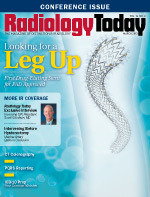 Companies reveal their latest dose-reduction efforts to help interventional radiologists measure and reduce radiation exposure. Recent studies suggest that if findings from negative breast biopsies match pathology results, then patients can prolong follow-up imaging for 12 months. Learn how digital image sharing through cloud-based solutions may help improve health care and lower costs. Nuclear stress testing is the standard in assessing blood flow to the heart, but researchers are suggesting that PET, CT, MR, and ultrasound also have benefits. While DR use is growing in hospitals, CR has found a new market in smaller facilities, including imaging centers and clinics. Here’s a look at the latest innovations presented at the society’s annual meeting last month. Learn how to ditch bad dictating habits to help increase efficiency and reimbursement for your radiology practice. Industry experts comment on the increasing use of direct DR and the current innovations in the field, such as mobile systems and dose management. 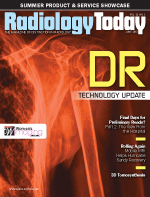 In the second part of Radiology Today’s discussion on preliminary vs. final reads, hospitals and on-site radiologists provide their opinions on the subject. Once received with skepticism, this 3D mammography tool has grown in popularity with its provided benefits, such as fewer callbacks, but radiologists suggest that protocols on when to use it are needed. A hospital and a radiology group provide insight into their adoption of vendor-neutral archives, including the challenges of implementation and how to utilize them to meet different organizational needs. Here’s a roundup of some important studies discussed at the society’s annual meeting. Final Days for Preliminary Reads? 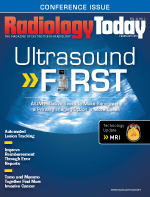 In part one of Radiology Today’s discussion on preliminary reads, radiologists provide their opinions on the subject and whether final reads alone will become the new standard. 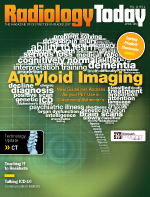 With the FDA approving PET tracers for amyloid imaging, SNMMI and the Alzheimer’s Association created a task force to develop guidelines for the new technology’s clinical use. Dose reduction, workflow, and right-sizing an organization’s scanner fleet are the top objectives in today’s CT market, according to industry experts. Here’s the campaign’s second batch of recommendations for tests and procedures “patients and physicians should question,” including imaging procedures and the reasons they were chosen. New research highlights uterine fibroid embolization as a positive treatment choice for women suffering from lower urinary tract symptoms. As cases of peripheral artery disease increase, physicians are looking toward the Zilver PTX stent to improve treatment for many patients. SIR’s president-elect discusses the future of interventional radiology and his objectives for the coming year. By performing uterine artery balloon occlusion, interventional radiologists can help pregnant women diagnosed with placenta accreta avoid hysterectomy after giving birth. Virtual colonography appears to be moving toward approval for Medicare reimbursement, but advocates don’t expect that to happen before 2015. Here are some helpful tips on how to use error rates as significant assessments of an organization’s coding staff and incentive plan. Manufacturers’ latest developments in MRI technology are made with the patient’s comfort in mind. 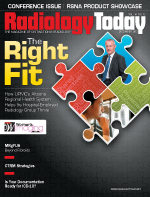 With rising costs and lower reimbursement rates, radiology groups need a facilitator to help plan ahead and ensure success through realistic goals. 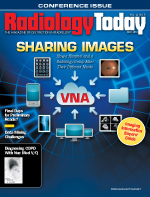 Once again, Radiology Today narrows down talking points from RSNA to the five we believe are noteworthy for this year and beyond. Here are a few highlights of the information presented during this annual radiology conference. New research looks at ultrasound as a diagnostic tool for women aged 30 to 39 presenting with breast cancer symptoms.